After seeing this post on Lucullian Delights, I made a mental note to pick up some prunes during my next trip to the grocery store. I brought home a pack of prunes over the weekend and wasted no time in trying Ilva’s recipe out. In a microwave safe bowl, melt the chocolate and the butter. Mix well. Whisk together the egg and sugar. Add to the slightly cooled chocolate-butter mixture and mix. Incorporate the flour into the batter and stir until smooth. Toss in the chopped prunes and mix to bring everything together. Bake for 10 minutes or until set but still soft in the center. Serve warm. Prunes are a fantastic addition to the recipe and the chocolate-prune combination was absolutely fabulous. In my opinion, the prunes helped to intensify the chocolate flavor. I know that I will be making this very often. I always think prunes and chocolate go well together. I've read that prune sauce is a good butter substitute in chocolate based desserts... These look so moist & fabulous. Prunes probably made these muffins incredibly moist!! This is a very rich cup cake. Prunes make them as a healthy one. Nice pictures. YUM! hi, just visited ur nice site and enjoyed reading ur posts & recipes.ur choc & prune cupcakes look so delish. What a unique combo-chocolate and prunes, yummy, very mouth watering for a chocoholic like me. I just ate but suddenly I am hungry again! What a fantastic recipe. I want to try this too. 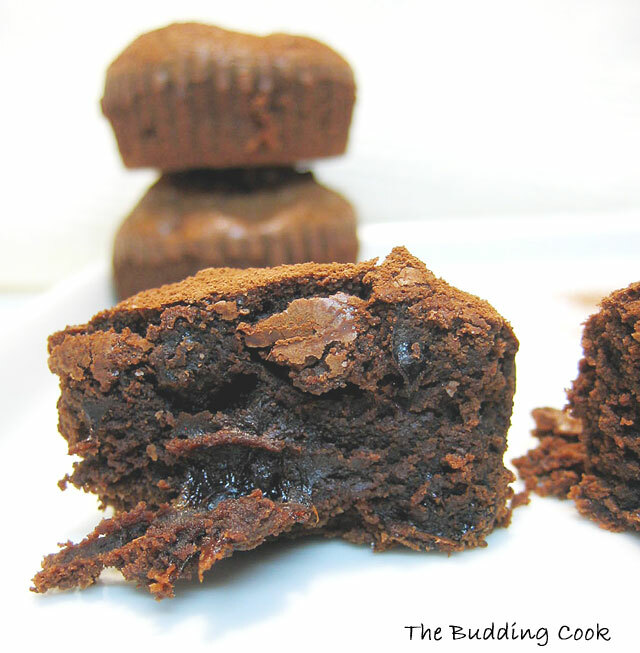 I would not have though to use prunes with chocolate but these look and sound really good! ooh, what a delicious cupcake! prune chocolate combo looks perfect. And it only took 2 Tbsp butter? Hai TBC, hey thanks for the comment..
Divine looking cake and prunes make the cake moist.Thanks for sharing the recipe and I have bookmarked it. These look so tasty :)! Laavanya- I too have heard that. I'm a bit hesitant to buy a whole jar to experiment with. Valli- yes, it did. And I loved the intense chocolatey flavor too. Kevin- it tasted really good too. :).I'm gald I came across Ilva's recipe. Heard prunes are storehouse of iron..Nice delicious n tempting. look what i missed until now!! awesome looking cupcakes, TBC! You might want to take a look at this.